The Miller School of Ablemarle logo is an essential element to the brand identity of the school. 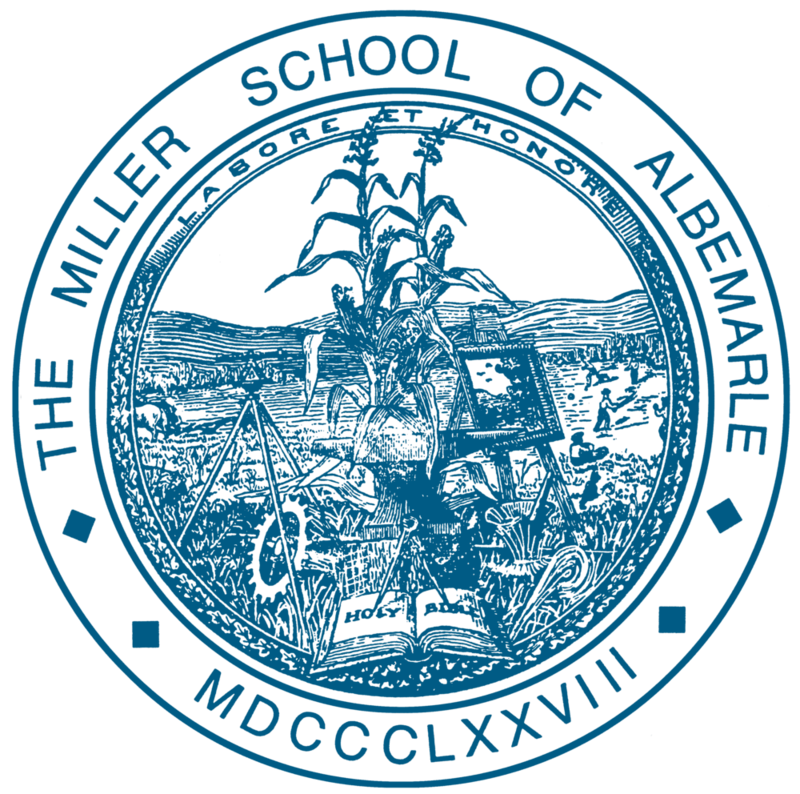 The primary logo includes the school's iconic bell tower and Miller School of Albemarle logotype. It is a unifying mark that immediately identifies the school. The primary logo should be used whenever possible. There are four variations of the MSA logo: primary, horizontal, horizontal with bell tower, and circle. Unless necessary, the primary logo should be used on all communications. The horizontal logos may occasionally be needed, and circle logo is used on occasion for social media and decals. Institutional logos should never be redrawn or recreated for any purpose. Additional words or graphic elements should never be added. The Bell Tower symbol is a to-scale logo of the iconic bell tower of Caton Hall. The Bell Tower has served as an iconic symbol for MSA since the construction of Caton Hall in 1883. It is the first thing one sees when entering campus, and it can be seen from the hillsides surrounding MSA's 1,600-acre campus. Times New Roman is used as primary font for writing assignments in the Modern Language Association format. It is immediately recognizable as academic and delivers a familiar and scholarly tone to viewers. The M and A are 2pts larger than other letters, and the "of" is italicized and 1pt smaller. The MSA seal is a detailed image of the mission and vision of the school in action. From survey equipment to crops, the seal captures the mind, hands, heart motto of MSA in images. The seal is reserved for formal uses. The full-color (308C with grey "of") logo is preferred on all forms of communication, including business cards, letterhead, email signatures. The full-color logo may only be used on a full white background. Do not use on any grey, black, or dark backgrounds. Use the solid logo when color printing is not an option and for applications such as embroidery, embossing, debossing, die-cutting, or extrusion. (note that a special version of this logo with centered "of Albemarle" for engraved logos on new entrance. Use the white reverse logo on photographic backgrounds. (The full-color logo should never be used over photograph). The white reverse logo may be used on 308C teal background only in print or web. On apparel, it may be used on grey or black (unless Bell Tower Teal is available with sublimation). The variations of the MSA logo below represent some of the ways the logo has been incorrectly used in the past. These represent some but not all the incorrect ways to use MSA logo.